We here at Mack Landscape understand it can be a daunting and unnerving experience speaking about your desired yard space. 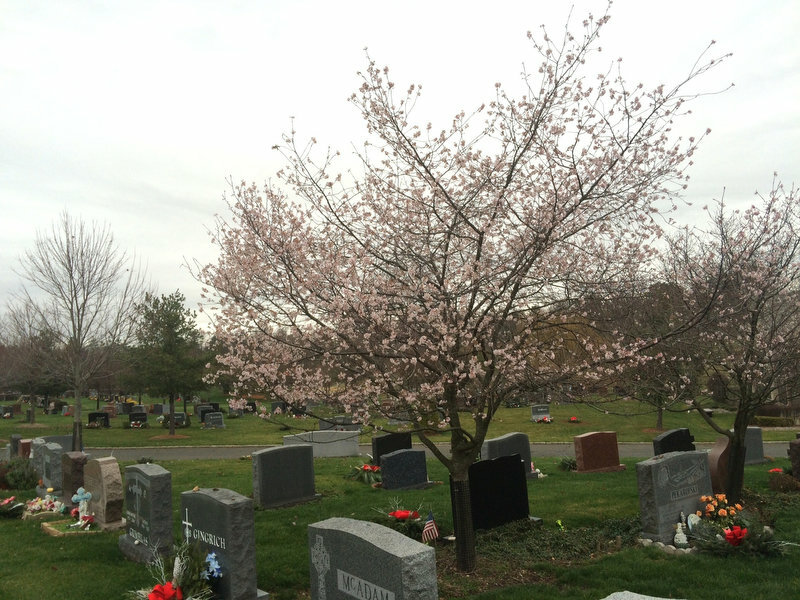 It isn't necessarily commonplace to know tree, shrub, or perennial names nor do we expect you to. We understand that landscape themes and aesthetics are a difficult thing to articulate, much like cheese or wine tastings. The most important thing to understand is that your tastes are as unique as your are. Understanding your tastes is crucial for the initial meeting to be productive. Having photos of a neighbors property, from the internet, or consumer websites (like Houzz) is crucial for our designer to get to know what you want. "What is the scale of the project?" Does the project include hardscaping (patios, decks, pools, structures etc. ), beds, walkways, and how many square feet is the area. It is okay if much of this is dependent on our recommendations. And, we can measure with you at your property. But if we know generally what the project entails, we can bring materials to help you articulate what you want and guide you in your decisions. "What would you use the space for?" Sunbathing, sensory focused garden, play, entertaining, etc. What is it that is important to you. What do you want that your yard lacks now, in other words. "Is there any style you prefer or any yards you admire around your neighborhood?" We want to understand your sense of style, taste, and intention for your future landscape. That way we can present viable options that suit you and your personality. We will always try to schedule a meeting when you are available i.e. Early Morning, Evenings, or Weekends. Whenever YOU are available. ​We will bring material catalogues to help you navigate paver and plant material as well as photos of projects we have done or admire that may inspire you! We will take the time to walk the property together, to discuss the objectives at length, and then sit down to go over the following questions. In the end, it will save time and keep everyone happy. 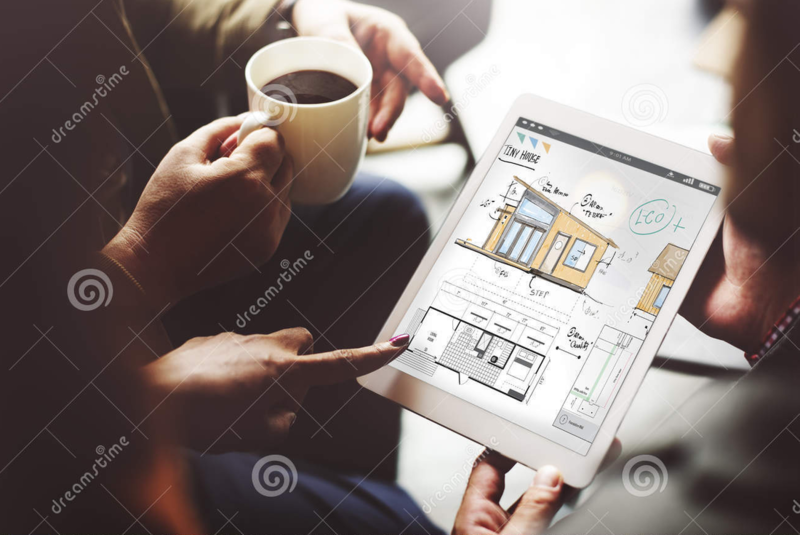 We also understand that these decisions most likely take two people agreeing upon the budget, the types of material, and the timeline of installation. We will schedule a time when all the decision makers are available! "What is your desired installation and completion date?" This question is crucial on our end. Many customers go away in the summer time which happens to be our peak season for hardscape work (patios, walkways, outdoor kitchens, etc.). Some of our customers prefer to be there while the installation is happening to make sure everything is running smoothly and done correctly. Some customers enjoy not witnessing the mess or hearing the noise. This is a question of your needs so we can understand them and do our best to meet them. This question can make some customers uncomfortable. It shouldn't. Often, we are asked to give ballpark figures for projects with many items, materials, and complicating factors. We understand that this gives a customer some idea of what the bill will look like. We want to know the same. Installations, be it planting, hardscape, drainage, etc. are an investment on your end as is the time we take to design a plan and price an estimate on our end. This number helps us expedite the project by picking materials that will get you as close to your dream as possible the first time while staying within a budget. 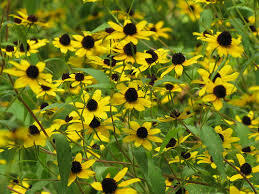 We can take you to a nursery so you can see the plants we are recommending first hand. We can bring actual samples of paving products so you can touch and see what is being recommended by us. We will do whatever it takes to make you feel taken care during the whole process. We know from experience there are questions that arise throughout the design-build process. The more the better! These tips will expedite the project and lead to an enjoyable experience that is both timely and meets all of your expectations. ​We all have noticed the leaves falling, the shorter days, longer nights, and most of all the cold. 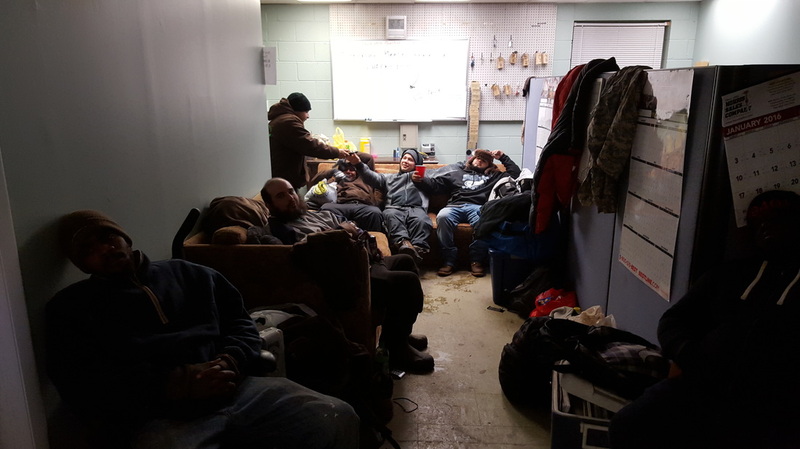 As everyone settles in for winter hibernation Mack Landscape Management, LLC. is gearing up for the winter season. Property maintenance objectives and preventative care can be done more effectively around this time of year. As leaves fall off your deciduous trees the cracks, stressed limbs, and disease becomes more apparent. 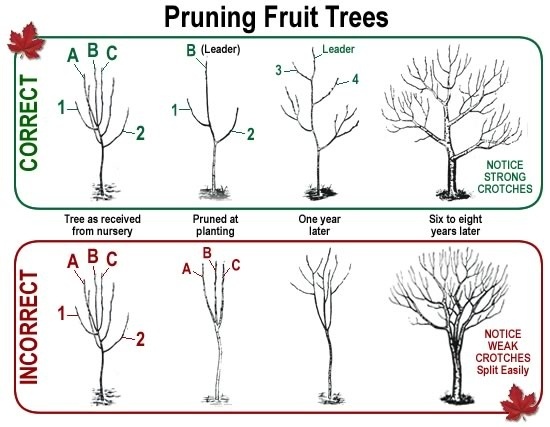 The structure of your trees and shrubs are reduced to skeletons at this time so shaping and thinning to reduce winter storm damage is a breeze. ​Winter is the best time to treat your trees and shrubs if they show signs of disease. 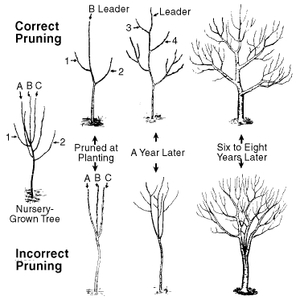 Pests, blight, and funguses go into dormancy at the same time your plants do so the risk of spreading the infection by way of pruning is reduced to nothing. There is no need to sterilize our saws after each cut so the process is much more time effective which in turn saves you money. If you have noticed any drainage issues or flooding after the past few rainstorms please let our Storm Water Division know and we can address the problems before the ground freezes and those puddles turn into ice. 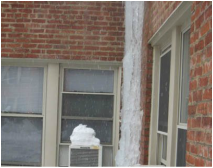 If the winter is as mild as the forecast we can continue to clean and redirect gutter and downspouts to remedy your water issues in the short term. In the long term we can discuss plans to change grades and install systems to effectively and attractively solve your drainage issues. The Snow is Coming and So Are We! As for this season, Mack Landscape Management, LLC. has compiled its initial plow routes. 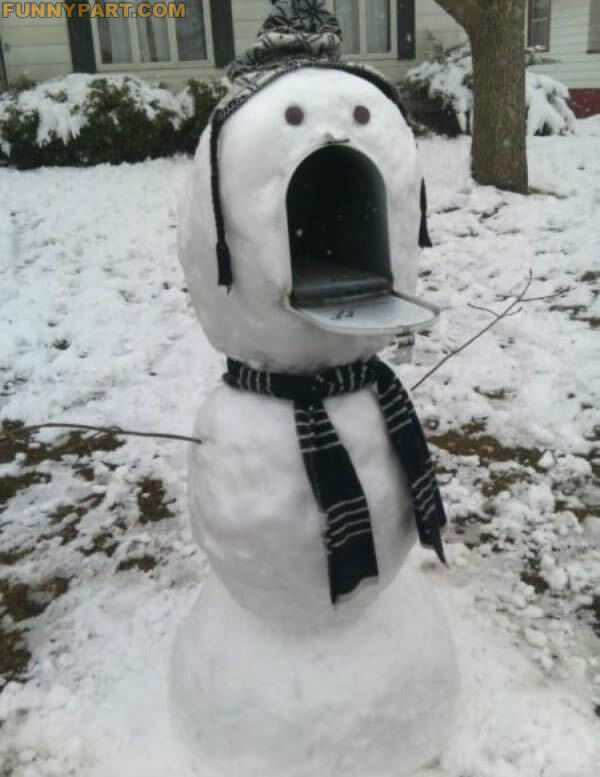 If you have not responded to our emails concerning snow removal contracts, please call or email us so you aren't snowed in after the first storm. Our staff is waiting to hear from you! 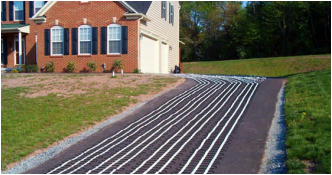 For the more ambitious who are sick of dealing with the snow altogether, why not consider a low voltage heating system for your drive or walkway. Never slip and slide again! 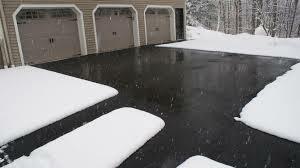 ​It also happens to be the best time to schedule meetings with our Salesmen to plan for Spring and Summer projects. When your property is barren of perennials and deciduous cover imagine it a blank palette to explore new goals and projects. We encourage you to take a stroll around your property and make an inventory of what you would like to change or improve. Our staff is eagerly awaiting your call. Winter passes by quickly, much like daylight this time of year, and we will be filling our Spring schedule fast. 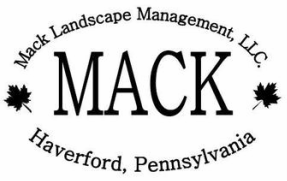 Mack Landscape Management, LLC. has taken the initiative. We are currently evaluating your properties to alert you of any concerns or suggestions we have from our perspective. Our foremen, salesmen, and the owner, Eric Mack, are all participating in this endeavor to compile emails for you. You will be hearing from us soon. We here at Mack wish you a Happy Holiday Season! We tend to agree with the statements from the Designer featured in the news story. 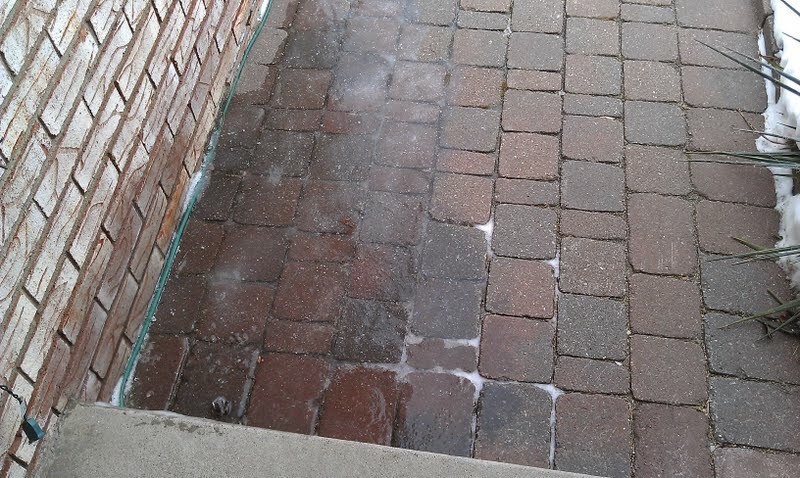 Every spring we are inundated with calls to schedule spring clean-ups, designs, and installs immediately following a three-day stretch of sunshine. Miss the rush and call us now! 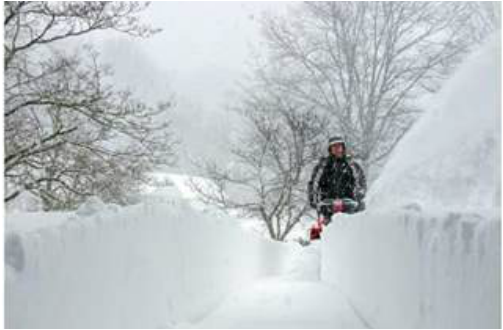 WE are here year-round not only to serve our clients' snow removal and storm damage needs, but to schedule and plan for the coming spring. As the days get shorter so seems the time until we are ramping up for clean-ups so give us a call! All of our staff are here, including our designer, to get your dreamscape planned and on the calendar! In addition, we are still designing and installing up to the initial frost so give us a call if your yard needs that winter-ready bulb install, or just a sprucing up so you can have a picturesque white Christmas. Here is a helpful article to illustrate the many ways to take advantage of your landscape even if most plants have gone dormant. Texture, texture, texture! 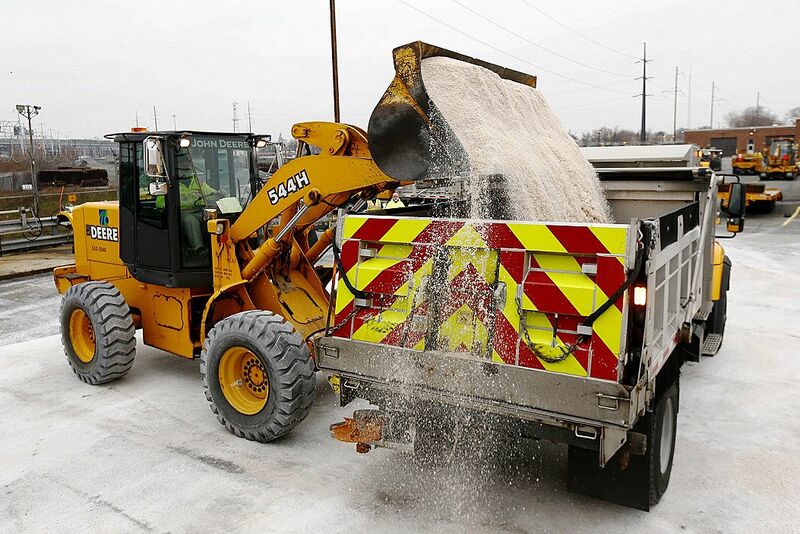 The Pennsylvania Department of Transportation is sending commercial haulers to Delaware to pick up 20,000 tons of recently purchased road salt _ a commodity in high demand after a series of winter storms. Gov. Tom Corbett said Tuesday he made the decision to dispatch dozens of trucks to Wilmington over the next week with travel safety on his mind. The trucks will bring the road salt to staging areas in Philadelphia, Allentown and Harrisburg _ regions that are considered to have the most urgent need for fresh supplies. PennDOT has used nearly 1 million tons of salt this season, going through it about 32 percent faster than during a typical recent winter. Earlier this month Corbett signed an emergency proclamation that lets road-salt delivery drivers work longer shifts than normal. More times than not a place we love is stewarded by a person we love. The Lower Merion Conservancy honors one of these persons each year through an environmental scholarship and internship program. She is one of the former Director’s of the Lower Merion and Narberth Watershed Association (one of the Conservancy’s predecessor organizations), has served on numerous commissions and committees, and is passionate about the natural and historic fabric of our community. She is, of course, the incomparable Sandy Drayer. For those of you that have met Sandy Drayer, you know what a lasting impression she leaves on people. For those of you that haven’t had the pleasure of meeting her, her lifelong dedication and passion for the conservation of Lower Merion’s rich history and natural environment shines through the Conservancy’s continued commitment to these efforts. As one of the founding Board Members of the Lower Merion Conservancy, her work continues to serve as the basis for our ongoing initiatives. In 2004, Sandy retired from the Board after 20 years of service. 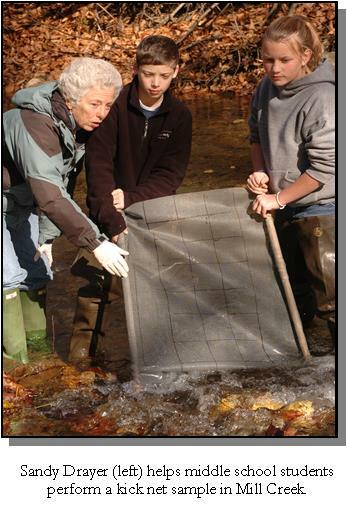 Upon her retirement, the Conservancy created the Sandy Drayer Environmental Scholarship in honor of Sandy Drayer, the “First Lady” of our local streams. For the first eight years of the Scholarship Program we awarded a $1,000 scholarship to a graduating senior based upon a competitive essay-writing application. Past winners have been outstanding students who have stayed in touch with the Conservancy and Sandy, and have gone on to be shining stars in their professions. Last year we talked with Sandy about how we can take the program to the next level, especially since the awardees of the scholarship are such wonderful students and we, frankly, want to spend more time with them. We benefit from their energy and passion, and they benefit from the mentorship of excited professionals—much like we’ve benefitted from Sandy’s wonderful presence at the Conservancy. We also thought about carefully about how hands-on experiences inside AND outside of Lower Merion with relevant educational opportunities could help us in our pursuit of inspiring others to help save the places we love. In that spirit, the Conservancy created a paid summer internship to give students the opportunity to work closely with us to help us care for our native wildflower gardens. Last year two outstanding students split the internship and they faithfully plucked weeds, counted butterflies, planted new plants and helped with our public programs. For the scholarship side of the program, the Sandy Drayer Program sponsored a student’s tuition at Cornell’s Lab of Ornithology summer scholar program for young birders. The recipient is a local high school student, one of the Conservancy’s BirdWatch monitors, and is outstanding student leader in environmental issues. This year, the Conservancy is delighted to roll out the Sandy Drayer Environmental Scholarship and Internship once again. This year’s selected intern, a high-school student entering their senior year in the fall of 2014, will once again have the opportunity to conduct hands on conservation in our native gardens—helping pollinators, observing our native plants through the growing season, working closely with our staff in a mentor capacity and so much more. For the Scholarship, we are also excited to announce a new partnership and opportunity for something that is near and dear to Sandy’s heart. As a life-long water lover, Sandy enthusiastically supported our sponsorship of a high school student from our region’s participation in an amazing educational opportunity, Schuylkill Acts & Impacts; an Expedition to Inspire Watershed Action put on by the Schuylkill Headwater Association. Schuylkill Acts and Impacts is a week-long service-learning program (Saturday June 7 to Saturday June 14, 2014) designed to educate and connect ten high school students living in the Schuylkill watershed to the Schuylkill River. With the help of Outward Bound team leaders, these students will travel by bus and kayak along the Schuylkill River from its headwaters in the coal mining lands of Schuylkill County to its confluence with the Delaware River in Philadelphia. This program will introduce students to the main issues impacting water quality along the river. Through guided tours, stimulating programs, and applied service work, students will learn how our behavior ultimately affects the water we use and drink every day. Their days will be spent along the waters of the Schuylkill River and their nights will be spent sleeping along its banks under the stars. The Conservancy along with Sandy Drayer, will have the opportunity to meet and talk to the students when they port their kayaks and visit us at Flat Rock Dam during the trip. Behind the places we love are many people we love. We are thankful for people like Sandy Drayer who continue to inspire us to keep saving the places we love. The Conservancy encourages you to think about people you know like Sandy and what actions you might take to share their stories and continue their work. To apply or learn more about the Sandy Drayer Environmental Scholarship and Internship please click here. Patty Thompson is the Executive Director of the Lower Merion Conservancy and can be reached at patty@lmconservancy.org. Tips and tricks to a winter wonderland! Better homes and gardens explains it all. Gardeners in snowy regions have plenty of reasons to get cold feet about winter: Plants are at rest and their brightcolors dissipate, leaving a palette of white and gray. And with nothing to plant, they might think there are few winter landscaping tips -- or to dos. In fact, careful planning in spring, summer, and fall -- plus a few easy accents during winter -- can lead to a beautiful landscape that shines against the stark relief of the restful season. "If you want to be sure you have some winter interest in your garden, you are really looking at just a few things," says Barbara Pierson, nursery manager at White Flower Farm in Litchfield, Connecticut. Here are Pierson's six winter landscaping tips to make you love your yard in every season. 1. Focus on bark. Sure, deciduous trees lose their leaves in wintertime, leaving their branches and trunks in focus. But that can be a good thing, Pierson says, "if you have any interesting ornamental trees that have really visually distinctive bark, which will end up adding winter interest." Many of those trees and some shrubs are smaller, meaning they're easier to find spots for in the winter landscape. A few of Pierson's favorites include dogwoods and birch trees, great for both texture and color. 2. Include berries. Many trees and shrubs have berries they hold onto during fall and winter, and those can provide food for birds overwintering in your area. "Crabapples hold their little fruit," Pierson says, and they make a great addition to the winter landscape. "A holly with berries is really beautiful," she says. 3. Remember evergreens. Evergreens are great in the winter landscape for many reasons. First, there's color: Evergreens are not just green; they're available in yellow, such as Gold Thread false cypress, and blues, including dwarf blue spruce, and all colors in between. And evergreens just make good design sense, Pierson says. "They are really important for a winter landscape, but they make good focal points all year-round," she says. "I always like to have at least one or two evergreens and work a border around those. When you are planting a new bed, you always want to have at least one evergreen." 4. Rely on your hardscape. Winter is a good time to critically assess your landscape, figuring out where it's missing focal points. The solution to enhancing your winter landscaping might not be a plant at all. "Winter is the best time to consider hardscape," Pierson says. "A trellis, a bench, an arbor, even a garden sculpture are really essential." 5. Adorn your summertime containers. Window boxes, hanging baskets, winter-hardy containers: All are indispensable for winter landscaping. Miniature dwarf Alberta spruce and broadleaf evergreens, such as Japanese Andromeda, holly and rhododendron, are perfect for wintertime, but they all have to be watered during dry periods. You don't have to spend money on plants, Pierson says. "Fill containers with evergreen boughs of different textures and colors and interesting twigs," she says, "anything with color in it." 6. Stick with four-season perennials. Some perennials have evergreen foliage -- ornamental grasses, hellebores, even dianthus with its beautiful low-creeping foliage -- making them great for winter landscaping, Pierson says. "Make sure to read the plant label and find out if the plant has foliage in the winter, so you can see it year-round," she says. Winter is also a great time to stock up on the nonplant elements you'll need for the next year's garden, Pierson says. "It's a good time to bargain-shop for anything for the garden," she says. Take a tape measure, research plants, figure out seeds you'll need, and write down what worked and what didn't in the current year.